Home > 2015 > 03/12 > GDB 68.0: Rested and ready? GDB 68.0: Rested and ready? For the 19th time this season the Oilers will play after two or more days between games. Does more rest equate to more success? It does slightly. The Oilers are 6-11-1 (33.3 winning%) when playing after two+ days without a game, they are 12-21-8 (29.2 W%) when playing with one day between games and they are 1-5-2 (12.5 W%) on the second night of back-to-back games. If you go by Gary’s loser-point system the Oilers have garnered slightly more possible points, not wins, when playing with one day between games compared to two plus days off, but overall more rest between games has helped the Oilers win four percent more. The more promising news for fans still emotionally invested in the games, is that the Edmonton is 13-13-1 vs. the east as they try for their first win of this road trip in Pittsburgh. Their next five games are against eastern opponents: Pittsburgh, Columbus, Toronto, Columbus and Philadelphia. They finish the season with ten straight against the west: Jets, Avs, Stars, Avs, Ducks, Kings, Flames, Kings, Sharks and Canucks. The Oilers are 5-25-10 against the west. The Penguins were victorious 2-0 on February 4th in Edmonton, and it was the first game under Todd Nelson where they lacked effort. “Early on, we were standing around watching and not dictating the play. It was the time I saw this type of effort,” said Todd Nelson after the game. Later in his presser Nelson stated he would focus on having a quick, fast-paced, intense practice to try and hammer home the importance of hard work. They flew to Toronto the next day, had a hard practice on Friday, but his players didn’t get the memo, because they got clobbered 5-1 in Toronto the next night. I’m sure that is when Nelson realized turning this team into a contender would be harder than it looked. I think Nelson has done a fine job behind the bench, but a coach is only as good as his players. He can have quicker more intense practices and more one-on-one battle drills, but ultimately it is up to the players to decide how hard they will work on game night. I recognize this team isn’t as talented or experienced as most teams in the league, but I still believe the group has too many nights where their effort and competitiveness is not equal to their opponents. The Oilers are have cut down on glaring mistakes, but their effort and concentration still dips during games, and often that results in goals against. They can’t afford many dips tonight against Sidney Crosby, Evgeni Malkin and the rest of the Penguins. The forward lines remain the same as Tuesday. 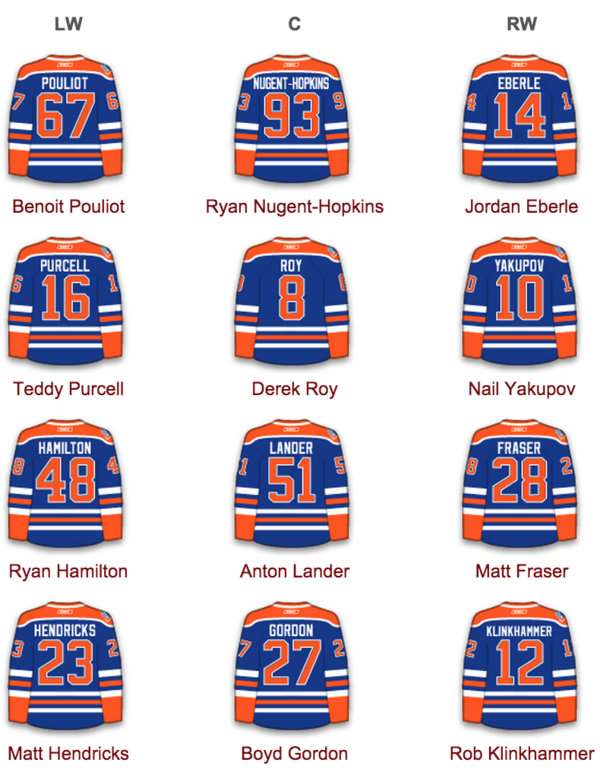 I don’t understand why Ryan Hamilton is playing ahead of Luke Gazdic. I said tweeted that on Tuesday and it makes even less sense tonight. Hamilton will never be an NHL player. He doesn’t skate well enough, and he hasn’t improved his footspeed enough during the past nine AHL seasons, so why do they expect that to change for next year? He has played 483 AHL games and 27 in the NHL. He has one goal in 27 games. He will never be an NHLer. Gazdic has shown clear improvement in his game. He skates better than Hamilton. He is more physical, he has improved his puck skills, the play doesn’t die on his stick and he is not a liability in his own end. Why not use these final 15 games to let him play and see if he can keep improving? Gazdic has 13 shots, two goals and is +0 in his last 12 games. Hamilton has 6 shots, no goals and is -6 in his last 12 games. Gazdic has much better analytics than Hamilton as well. There is no reason Hamilton should be playing ahead of Gazdic. The Oilers enforcer put in a lot of work this off-season and we’ve seen an improvement in his game and his skating. I believe it sends the wrong message to your team. Guys who put in the work and show improvement should be rewarded. Gazdic isn’t going to be a top-line player, but he sure as hell is a better NHL player than Hamilton. Hamilton will not be here next year, Matt Fraser likely won’t even be qualified in the summer, but both of them are playing ahead of Gazdic, despite him playing better than them. Nelson has made many right decisions, but I completely disagree with his decision to play Fraser, and especially Hamiton, ahead of Gazdic. 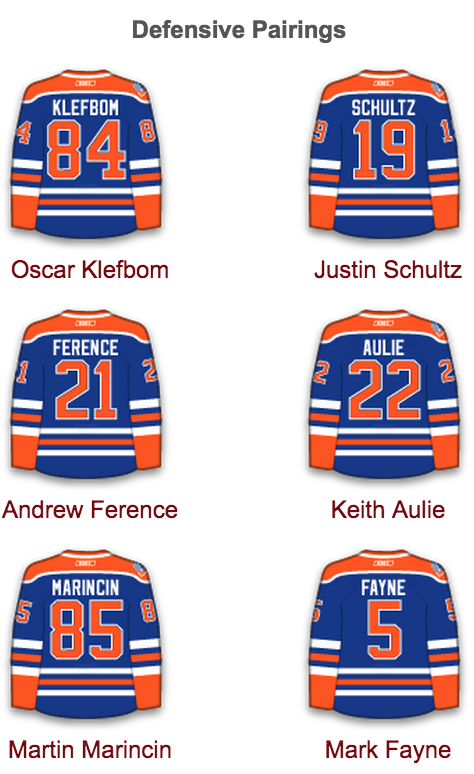 Keith Aulie draws in for Jordan Oesterle who was reassigned to OKC after the Detroit game. Nikita Nikitin might be available tomorrow in Columbus. 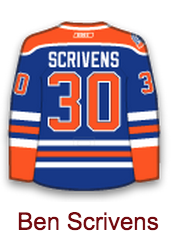 Ben Scrivens starts and I expect him to play tomorrow as well, because the Oilers don’t play again until Monday and Richard Bachman isn’t a viable NHL goalie. He has allowed 10 goals on 61 shots this season. Marc-Andre Fleury is having the best regular season of his career. He has a .career-high 925sv%, leads the NHL with nine shutouts, is 6th in TOI, 6th in wins and 4th in GAA with a career low 2.14. He will need to have a solid postseason for many to stop questioning his ability, but he looks much more poised and confident ever since he started meeting with a sports psychologist. Carey Price will win the Vezina, and he might win the Hart trophy as well, but it is very possible that Devan Dubnyk is one of the three finalists for the Vezina. Price, .937, is the only starting goalie with a better sv% than Dubnyk’s .928. Dubnyk has a 28-9-3 record, and since he arrived in Minnesota the Wild has vaulted up the western conference standings. It is very possible Dubnyk is a finalist along with Price and Pekka Rinne. Braden Holtby will get a lot of consideration as well, but Dubnyk is amongst the league’s best this season. Crosby and Malkin are tied for 4th in NHL scoring with 62 points. They both are +6, have 185 and 189 shots respectively while averaging 19:11 and 19:50 in TOI. Their SAT’s are virtually identical as well. Crosby is an incredible player and he is the best in the game, but I’ve always felt Malkin gets overlooked. He isn’t mentioned as often amongst best in the league like Toews, Tavares, Ovechkin, or even Giroux, and I think that is because he plays on the same team as Crosby. Malkin has shown he can lead the team when Crosby is injured, and I’d argue Malkin could easily be considered the second best centre in the NHL. Nikita Nikitin told Derek Van Diest his conditioning wasn’t an issue at the start of the season, “I was in good shape. That was never a problem,” he said. His GM felt different a few weeks ago, ” I don’t think he was in the best shape that he could have been, we have to get that rectified next year,” MacTavish said about Nikitin. MacTavish also praised him believing he is a top-four defender. Nikitin looked incredibly slow at the start of the year, but he did look a step quicker prior to his most recent injury. MacTavish said he wasn’t in the best shape, not necessarily in bad shape, and I think that was accurate based on how slow Nikitin looked. As for being a top-four defender, I don’t see that. I view Nikitin as a third pairing defender. If he can stay healthy, he can help the third pairing, but MacTavish, nor any of us, should expect him to be a second pairing guy just because the GM paid him like one. I don’t expect players to live up to a contract that was a major overpayment. Death, taxes, and terrible hockey teams in Edmonton. The Oilers come to town tonight their usual train wreck selves. Their last two games, they gave up 12 goals in a two-day stretch, following up a 7-4 loss to Carolina on Sunday with a 5-2 loss to Detroit to fall to 0-2-1 on their five-game road trip. They are 0-4-1 in their last five, and still at the bottom of the barrel with a league-worst 3.31 goals against per game. The Pens are 6-1-1 in their last eight and coming off a successful road trip that saw them earn five of a possible eight points. The bad news for the Pens is they went 0 for 12 on the power play out West. The good news is the Oilers have the league’s fourth-worst penalty kill at 77.6 percent and have given up goals on four of their last eight opportunities against. Even without shooting the puck, the Pens power play still might find a way to score tonight. GAME DAY PREDICTION: Penguins are simply too good. Oilers keep it close, but lose 3-1. 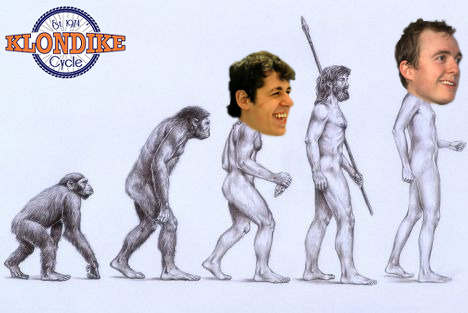 OBVIOUS GAME DAY PREDICTION: Perron scores his second goal in as many games against the Oilers. NOT-SO-OBVIOUS GAME DAY PREDICTION: RNH scores his 20th goal, setting a new career-high, but also ensuring the Oilers are not the last team with a 20-goal scorer. Carolina (Stall, 19), Arizona (Ekman-Larsson, 17) and Buffalo (Ennis, 17) will battle it out to see which team’s leading goal scorer has the lowest total. Pouliot producing and Congrats Joey!! Working late, check NHL.com for the score to see if I should hurry home to catch the game…yeah, there’s no hurry. Has there ever been a rush to catch any oilers game in the last decade? This is an AWFUL hockey team,again. How is it possible to be this bad, this long? Ya well just you wait untill we get our next 18 year old kid we get at the draft. Not too sure who it’s gonna be but THIS will be the kid that saves the oilers and puts out the dumpster Fire. Im just waiting for the real Nortis trophy defence man Justin Schultz to show up,then all our problems will be solved !!! Right Craig? Lmao, J.Schultz… The hype this guy received just 3 years ago makes me laugh. the hype was deserved. He destroyed the AHL, and I’m sure if he was on a team with some veteran leadership, he could have been developed into a very good D-man. Instead he signed with The Oilers and his potential has been ruined like so many Oilers prospects. This team has gotten so bad I cheer the flameout Trollz comments. See what you’ve done to me oilers! I am watching the Pittsburgh feed on NHL Centre Ice. Nuge is growing some cojones ….grande Nuge!!! Geez, lots of Flames fans on ON tonight. Just because the Oilers are one of the worst run sports franchises in North America doesn’t mean I hate the Flames less. I actually didn’t look back far enough. In the last 25 years the Flames have won 3 whole playoff rounds. The Oilers have won 13. Can’t argue facts people: the Flames love to lose in the first round! They’ve been playing much better since Bachman came in. Pens took their foot off the gas a bit, but oilers deserve a little props I guess. Not the first time this team has made me look stupid. Won’t be the last. They may be a lousy team but at least Nelson has them to a point where they just don’t lay down and die like the oilers of Eakins. Oilers been pushing back pretty good. After I read this I realized how bad the Oilers management is. They are so outclassed by almost every team in the league – its laughable – but unfortunately the jokes on us. Lander, I love this kid!!! I wouldn’t mind getting paajarvi back to see what he and lander would look like on a third line next year. Where the haters? Tie game. Wow. I have to admit, the Joe’s have turned this into a game. ELPH. The fact they came back from 4-0 give them credit where it’s due. I hate the management just as much as the next Oilers fan. And I hate to say this but we need them to lose the rest of the way. We are already out of the playoffs. I just want them to be in games. Getting blown out is never fun to watch. But you’re right. 19 win in 68 games. Horrible. Who do these guys think they are? The Calgary Flames? I am now wondering how a full season with Roy and Yak on the same line will be like. Your Edmonton Oilers are pleased to announce that after a brief interruption, normal service has been fully restored. Speaking of stupid. Did I just hear the words ” Ryan Nugent Hopkins is the same as Sidney Crosby ” come out of drews mouth. That dude really bugs me. Wrong owner in the wrong era. If we would of had Katz in the 80’s we are in the double digits for cups. The only time I’ve seen him actively in Edmonton is when the new building was in city council. I have seen KLowe speak twice this year. 30 year cup anniversary and in Long Island yet about the first cup. Howson, Nicholson are invisible. As for the players we have all seen them good at some point and i know I have an emotional attachment to most of them. I think it’s hard to really evaluate young players in meaningless hockey games. If we pick #1 0r #2 we pick Connor or eichel even though college players scare me after watching jultz. If the pick is later than that time to package picks and maybe a high profile player and get a mentor for our young D.